The latest FJR1300A is now equipped with a 6-speed transmission that enables the rider to make optimal use of the massive reserves of torque for rapid acceleration - while the high 6th gear gives lower rpm at high cruising speeds. And for smoother downshifting and enjoyable cornering, an Assist and Slipper (A&S) clutch is fitted. The twin-eye headlights are equipped with four compact and powerful LED lighting units - with two operating for low beam and all four come on for high beam. 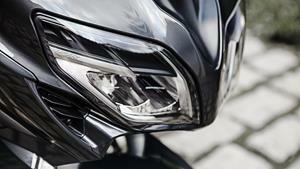 LED position lights give the FJR an unmistakable presence on the highway - and the latest rear end features an all-LED taillight assembly that underlines the FJR's high-tech specification. 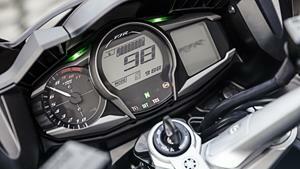 To complement its sophisticated sport tourer specification, the FJR1300A is equipped with a high-specification 3-part instrument panel. This high-tech console features an R1-style analogue tachometer on the left with a central digital LCD speedometer and a multi-function dot matrix display on the right. 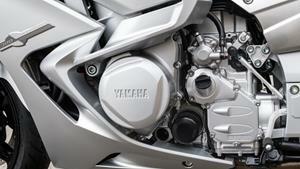 For maximum riding pleasure the FJR1300A is designed to allow easy adjustments to the riding position and aerodynamics. The seat height and handlebar position can be fine-tuned to suit different riding styles - and there's also an electrically adjustable screen and an air management system for added wind protection. 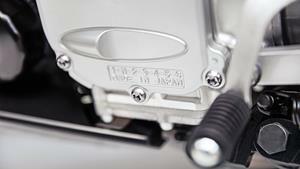 The latest-generation FJR1300A benefits from some of the industry's most advanced electronic control systems. A switchable traction control system (TCS) gives added confidence by preventing the rear wheel from spinning when activated, while the new Yamaha D-Mode system offers the choice of relaxed or sporty engine settings. Touring riders can cover many thousands of kilometers in a few days, and so anything that makes those hours in the saddle even more relaxing has got to be welcomed. Operating between 3rd and 6th gear from 50km/h to 180km/h, the cruise control system enhances riding enjoyment and allows the rider to respect speed limits. For increased riding luxury, every effort has been made to ensure that the FJR's sleek bodywork offers optimum wind protection. For enhanced comfort the latest model benefits from a reshaped windscreen and front cowling, as well as a modified center air duct, to give improved wind protection while maintaining the bike's effective aerodynamics.